If you’ve noticed stains, dirt patches, and more on your sofa, it’s time to get it professionally cleansed! Get in touch with us today and a specialist sofa cleaning team will be sent to you in London, armed with the tools to get the job done – even the most ingrained dirt is no match to the cutting-edge machinery at our disposal. You should know that your service will be adapted to suit your individual needs and requirements. And this will ensure you get the best possible results. But who’re the staff who’ll carry out your service? All technicians have been fully vetted and have undergone extensive training. They’ve helped thousands of customers – you can see what’s been said about us on this website’s reviews page. 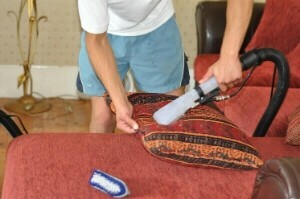 What Will The Sofa Cleaners Do For You? There are three ways you can book. Your first option is to call us on 020 3746 6887. You’ll be put straight through to a customer care operator, who’ll take your details and give you a free, no-obligation quote. Your second option is to enter your details into our online booking form.